Veterans Benefits Manual is an indispensable guide for advocates who help veterans and their families obtain benefits from the Department of Veterans Affairs. User-friendly, well-indexed, and packed with practical information, it includes sample forms and briefs, flowcharts, checklists, citations to legal authorities, and other documents designed to streamline the claims process and save you and your veteran client valuable time. Federal Veterans Laws, Rules and Regulations puts all the laws and regulations related to veterans law right at your fingertips. 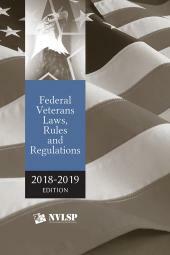 This fully indexed resource offers quick reference to important federal statutes and regulations contained in Title 38 of the United States Code Service (USCS) and the Code of Federal Regulations (CFR), as well as all of the rules of the United States Court of Appeals for Veterans Claims. 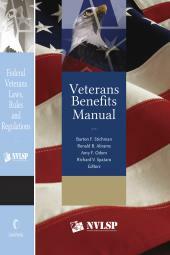 Veterans Benefits Manual and Related Laws and Regulations on eBook makes veterans law research even faster and easier! This product has been converted from a CD to an eBook so you can still use it on your desktop computer or laptop or now upload it to your iPad or other tablet. You will have the full content of the Veterans Benefits Manual and the Federal Veterans Laws, Rules and Regulations which have their own eBook volumes right in the eBook bundle. 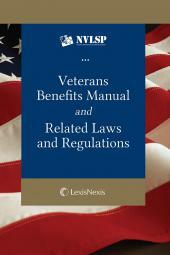 Also included in the eBook package is a volume of case opinions that are cited in the Veterans Benefits Manual.